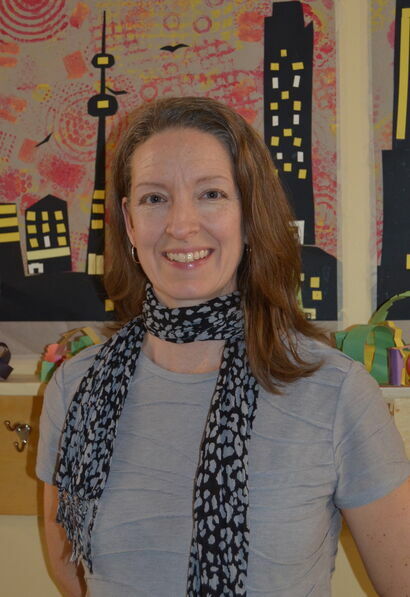 Mme Nathalie recently started teaching Visual Arts at‍‍‍ Westboro Academy in January 2018. She has a Bachelor’s degree in Visual Arts from the Université du Québec en Outaouais and has completed two years at the Ottawa University studying Art History, Psychology and Ancient Studies. She has worked several years doing exhibit preparation at the Canadian Museum of Civilization (now Museum of History) where she studied and developed a greater appreciation for history, anthropology, aboriginal and contemporary art. Mme Nathalie has over 15 years of teaching experience in different elementary schools and pre-schools, community centres and art galleries in the Outaouais region. She loves sharing her passion and knowledge of arts and history with children from kinder garden to middle school. With her husband and two middle school aged children, she enjoys spending quality time with family and friends in town or at the cottage. As a nature lover, she also enjoys photography, hiking, biking and cross-country skiing.